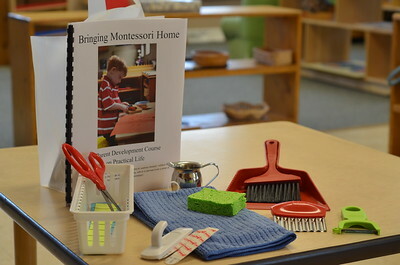 Montessori Preschool 101: Preparing for those first, exciting days! Grace's first day of Montessori preschool, 1997. I reminded her that she had hardly slept at home at all since she started college last year. She lived in the dorm, four hours away from home and we often didn’t hear from her for days. A-ha! Then I figured it out. She was worried about cutting the cord from the house where she grew up. I had been concerning myself with making sure she was comfortable “out there” and she was worried she would no longer be welcome back at home. 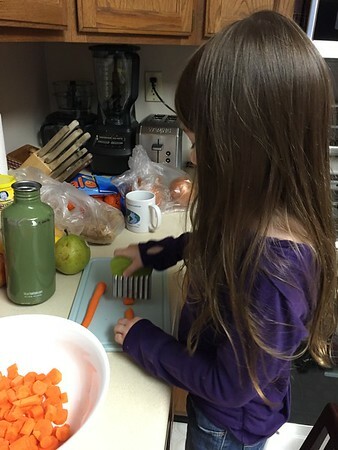 It occurred to me that not much has changed between that day and the day sixteen years ago when we were preparing to send her to preschool here at the Montessori School of Greater Lafayette. Back then we were so excited to help our “baby” pick out a new lunch box and indoor shoes but we had little idea what to do to help prepare her (or ourselves) emotionally for this new chapter. She sailed through preschool and is now working through nursing school just fine, but we have learned a lot since then. Today I am sharing some tips and advice gathered from teachers and parents here at MSGL to help you and your child prepare for the first days of preschool. Talk about school - mindfully. Talk with your child about preschool when he is in the mood. Maybe he will bring it up or you can start the conversation, just don’t push too hard. If your child seems “done” with the conversation or is becoming anxious, let the topic drop until later. And be honest about your feelings when you do talk about school. Some children worry that their parents will be sad or lonely when they are gone. When you say, “I am going to miss being with you in the morning, but it makes me happy to know you will be enjoying yourself at school,” it lets him know that you will miss him but you are confident that school is a good place for him to be. Check out the new environment. MSGL’s Parent Work Day is Saturday, August 16th. This is a great time to get familiar with the school and classroom environments and to be part of the school community. Children are encouraged to help clean lockers, pull weeds, and load and unload wheelbarrows full of mulch right alongside their parents and new classmates. And, each family member's time counts towards your volunteer hours requirement. You will have another opportunity to get familiar with the school when your child attends her New Student Orientation visit on Monday, August 18th. This is her first opportunity to see her teachers and classmates in her new classroom. She can put her indoor shoes in her locker, locate her cubby and extra clothes box, and see where the bathroom is. The whole family can attend the Parent Orientation later that evening and maybe your child can give a tour of her new classroom. You will receive a class list via email in August. Consider contacting a few families on the list to set up a playdate before school starts. Even if you can’t get together with any other families, you and your child can look over the names on the list together. You may discover that one of his classmates lives on your street or maybe someone has the same name as a sibling or a friend. Help her dress for success. Our Montessori classrooms are prepared to encourage your child’s independence and you can help by providing your child with shoes and clothing that she can put on and take off by herself. Belts, suspenders, and jumpsuits look smart but they can be difficult for your child to use successfully. Provide your child a choice of clothing that allows her complete independence in her self-care routines. 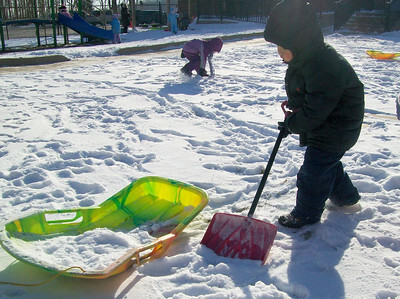 And please remember that preschool is a time to jump in and explore. Paint, snack, sand, and dirt from the garden can stain your child’s clothing, so please send her to school in clothes that can stand to get dirty. Now is a good time to do a mental run-through of your morning routine. Consider how much time your child needs to wake up, get dressed, and eat breakfast. Allow time for packing lunches, finding coats and shoes, and getting on the bike or in the car. Then add a few extra minutes. Parents and children who are not in a rush tend to have much better experiences at drop-off. Some families even do a few “practice runs” in the summer to see if they can get to school and work on time. Discuss with your child how you each want to say goodbye at drop-off. Some families say, “After you put on your inside shoes and put away your lunch box, we will walk to the classroom and I will give you three hugs and two kisses before I go to work.” Some children like to wave to dad out the window and some parents leave their children with specific plans for what they will do after school. “Sonia is picking you up today” or “we are going to the Farmer’s Market on our bikes after school today.” Children have so little control over their daily lives that they appreciate at least knowing what is happening and when. And while we’re talking about goodbyes, let’s take just a moment to consider the specter of separation anxiety. What if my child cries when I walk away? Separating from your child that first time can be heart-breaking, but remember - it’s only for a few moments. The majority of children who are sad when they separate from their parents are able to calm themselves and choose an activity within a few minutes. If you have gone through the goodbye routine and are finding it hard to turn around and walk away, ask your teacher for help. Sometimes parents say, “Please help me. I need to leave.” That is the teacher’s sign that she needs to hold your child’s hand or pick her up so that you can walk away. Teachers don’t want to step in before you are ready to go but they are happy to help when you ask them. The best thing you can do for your child at drop-off is to be consistent and walk away when you say you will. Lingering tends to just prolong the heartache for the parent and the child. The first few times you drop your child off may be difficult, but trust that with consistent repetition you and your child will develop a peaceful good-bye routine. Talk with your child’s teachers about how the adjustment period is going. The teachers help dozens of children adjust to school every year but this may be your first time. They expect you will have questions and concerns. Email is a great way to communicate with your child’s teachers and all of the contact information is available on the classroom web page at Msgl.org. Help your child talk about his day. If this is the first time your child has been away from home you will no doubt be very eager to know what he did all day. Unfortunately, preschoolers often say they “did nothing” or “just played.” A lot of things happened between the time you dropped him off that morning and when you picked him up several hours later, but he might not yet be able to give a sequential list of his activities. Here are some ideas to help your child tell you about his day. If your child brought home artwork or papers in his book bag, try asking him specific questions. “Please tell me about this. Are you studying planets? Does this go with another work? What class did you make this in?” Please note: Some children do not bring home very much paper work, especially in the early years. Montessori materials are designed to be concrete and hands-on to allow the child to absorb the experience but not necessarily record it on paper. The following link sheds some light on what your child might be doing if he is not bringing anything home. 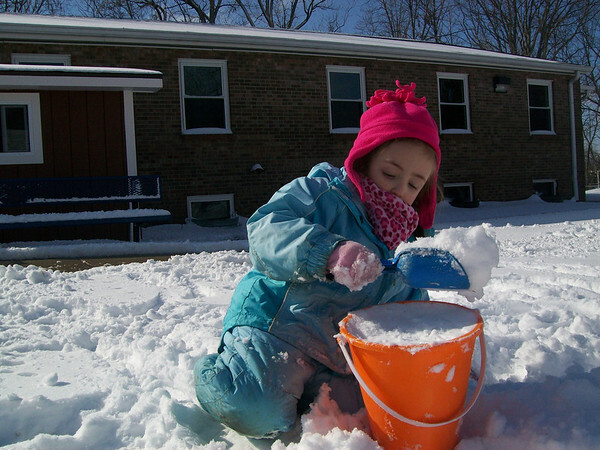 MSGL blog: What did you do at preschool today? Look through the classroom photos on msgl.smugmug.com with your child. Teachers and parents take lots of photos throughout the week that provide a window into the life of the classroom. This is a great way to see what your child is doing, learn the names of his friends, and learn about some of the Montessori activities that he might be choosing. Check the teacher’s classroom blog at msgl.org each week. Each teacher gives an overview of the topics being explored and special projects coming up. This is also the best way to find opportunities to volunteer in the classroom where you can see first-hand what your child does at school. The best thing you can do during these last few weeks of summer is to give you and your child the gift of a regular bedtime that allows enough sleep to wake up refreshed and ready for the big days ahead. Fill up with a good breakfast each morning and be extra patient with your child and especially with yourself. Parenting preschoolers, like college students, is hard work and there is no right way to do it. Follow your heart and follow your child, and in sixteen years, or so, you will be very proud of the people you have both become. What Did You Do at Preschool Today? When someone asked to play with me, I said yes. I looked at the caterpillars in the jar - for a very long time. Then my teacher read me a book about butterflies. Twice. Because I asked. I sat next to a friend who was labeling the lifecycle of the frog. I handed her the labels and helped her match them. I got her a paper towel when her fingers were gluey. When everyone was talking about bees I told them, “Bumblebees don’t sting. Only honey bees sting. Bumblebees just bumble.” Everyone agreed with me. I looked at a real chicken egg and a real duck egg. I said the duck egg was bigger. I used the very heavy tortilla press to make playdough tortillas. My friends helped and we laughed. None of us pinched our fingers. I compromised about sitting in the comfy chair. I served myself a snack, ate it politely alongside my friends, and cleaned up after myself. I felt sad - just for a little bit - because I missed my mom. I noticed that the lizard’s food bowl was empty and cut some lettuce for him. I waited for a turn on the orange bike. I heard that a friend is going to Korea for the summer and I gave him a hug to say goodbye. A preschooler's greatest and most important work often doesn't have any external product to show for it. Having and being a friend, acting out of kindness, demonstrating patience and self-control, taking care of oneself, feeling satisfied with a job well done - these things are all internalized. The children in our classrooms build their character and their understanding of the world every day, but they can’t always verbalize it. They are doing so much challenging work! But they do not yet see their actions and successes as separate from themselves. Stories from their day and recorded work, like the blooms of a sunflower, are parts of the child we can see and they might be pleasing to us, but they are only the product of a monumental amount of internal work. So please don’t worry when your child says she did nothing all day. Nothing to grown-ups can be everything in the life of a child.